I had three beads sitting around that I hadn’t used very much, so decided to try to make a bracelet using them. 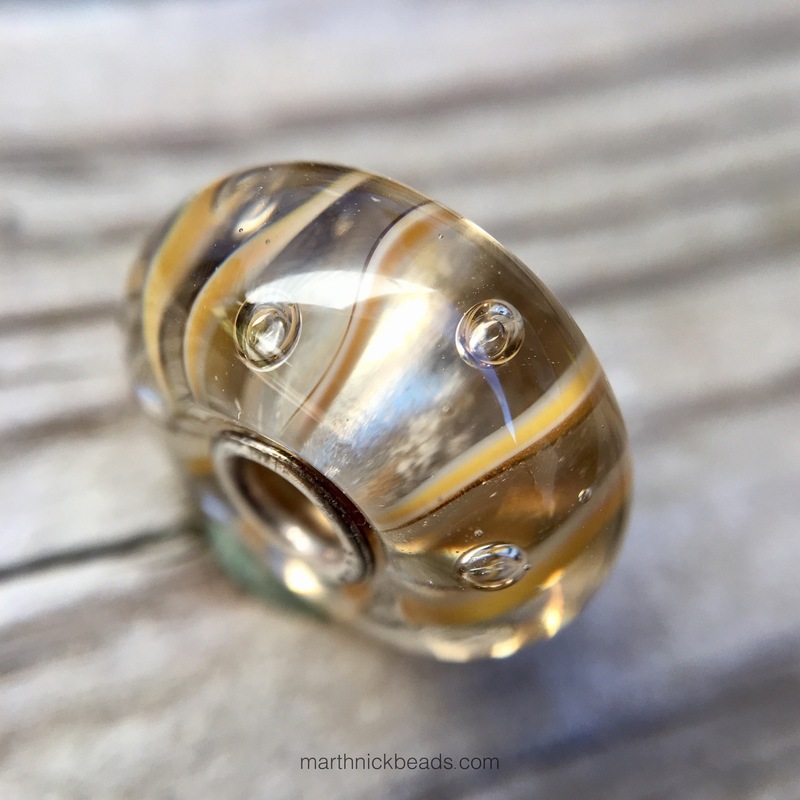 The first one is a retired bead by Trollbeads that I bought at the concept store we stopped at in Ohio on the way to the Bead Bash. It caught my eye as something that might go well with Soul of Sunshine and I liked its golden tone. It’s called Dew Drops. Then I have a couple of Chamilia beads that I bought from their online shop in the outlet section. They had a lot of beads for 50% off, which is always hard to resist. This one is called SuperNova Wine and Topaz-Swarovski. I love the copper wire running through it! This one is called Felice, but I don’t see it on their webstore anymore. I was looking at the Canada store though, so maybe it’s still available elsewhere. I really like how it looks like splashes of watercolours. One thing I never realized about Chamilia Muranos is that one side of the core is like you see here, but the other side is like a Trollbead! I was really happy with these beads though and won’t hesitate to order more. 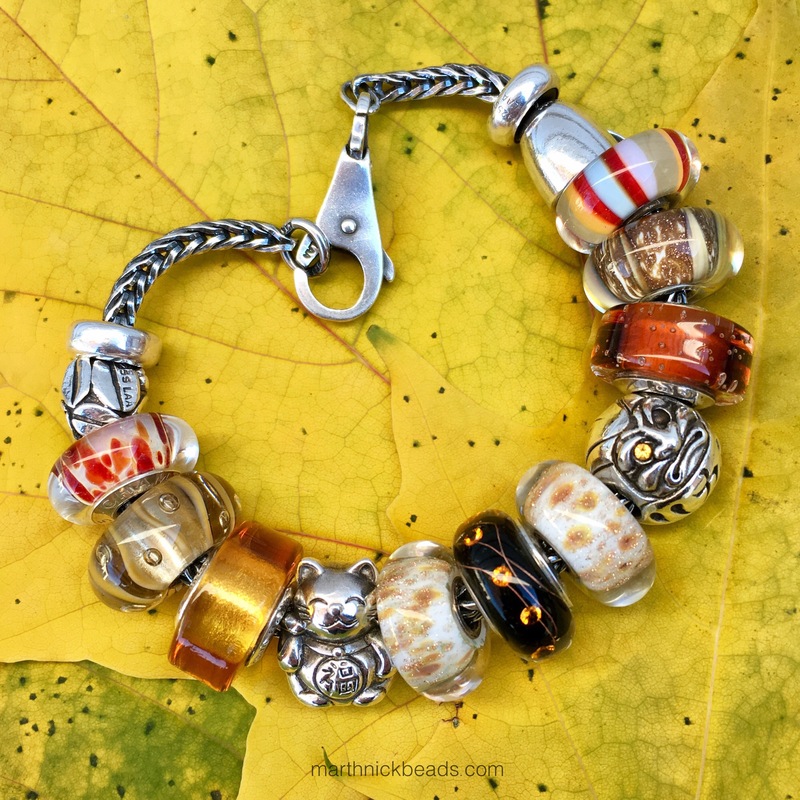 By the way, Tia of Beads On a Budget has a review of a couple of Soufeel beads that she recently bought here plus has an article about holiday Chamilia beads here. 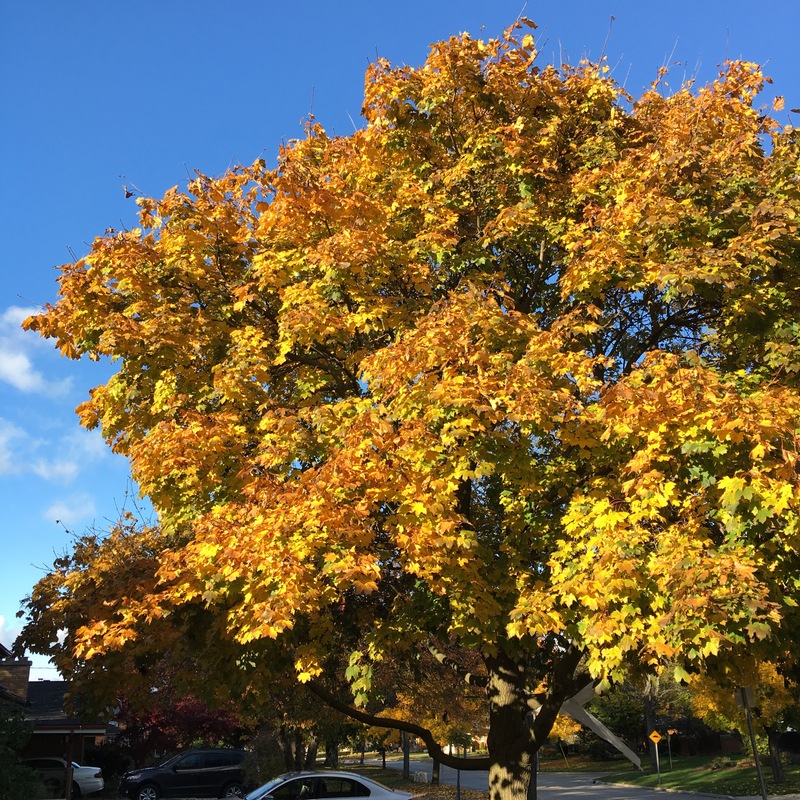 Anyway, the maple tree on our front yard has turned bright yellow. In fact, our whole street looks like this now! So I picked a few leaves as a super bright background for the bracelet. 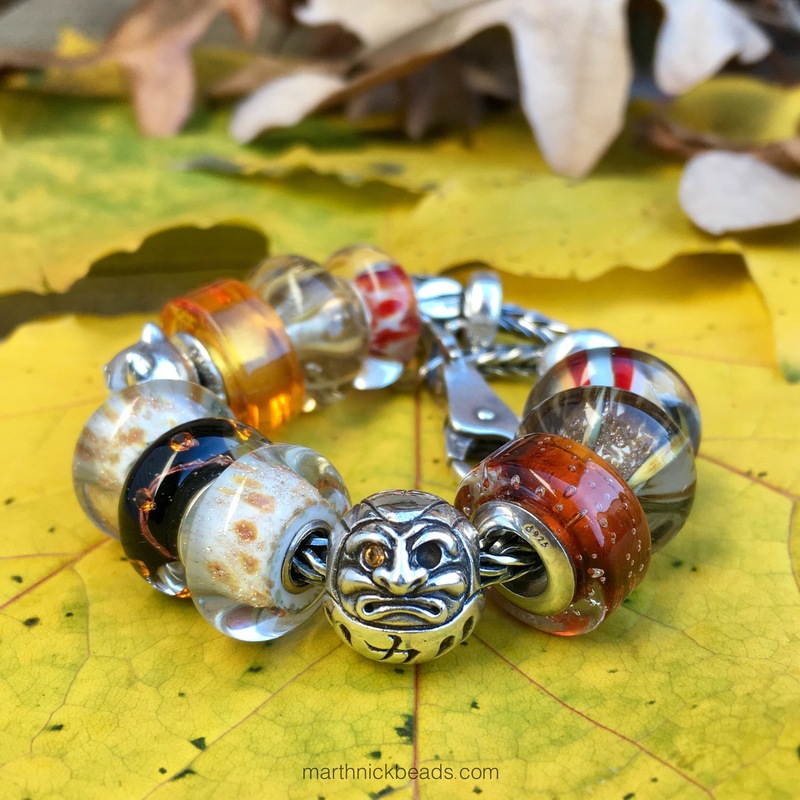 Below left to right are the Trollbeads Mocha, Chamilia Felice, Trollbeads Dew Drops, Ohm Beads Incremental Change, Spiritbeads Maneki-Neko and Trollbeads Scirocco. Below left to right after the Scirocco are the Chamilia SuperNova Wine and Topaz, Trollbeads Scirocco, Spiritbeads Daruma and the Ohm Beads Bar Brawl. 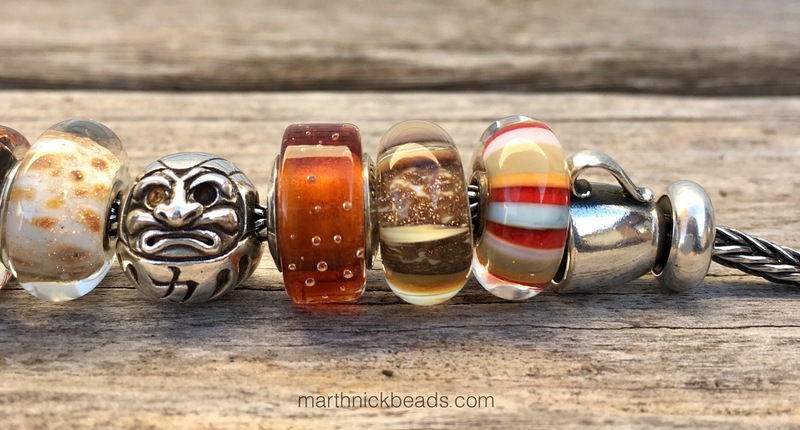 Below left to right after the Bar Brawl are the Trollbeads Soul of Sunshine/ Strawberry Stripes and Coffee Mug. Here’s another look at the bracelet. I love the one eye in the Daruma! So, any thoughts about Chamilia beads or brand mixing in general? There are so many brands out there now and it’s so easy to mix and match these days. Coming up on Friday will be the new Perlen Amber beads. At first I didn’t plan to mix brands, but it did make it difficult at times to put together an entire bracelet. I don’t have any Chamilia yet; to be honest, I hadn’t given them much thought. I really like the SuperNova Wine and Topaz and the Felice. As far as the Felice goes I could only find it on EBay ( and that’s out). What I especially love on your bracelet is your Daruma. He’s wonderful… His eye actually matches the rest of the theme! Yes, his eye is a great colour for fall leaves! The only other Chamilia I have is the reindeer from a couple of years ago and it’s fantastic. For me there’s a nearby mall that sells it, so I can always see it in person, which makes such a difference. They have a line of kitchen utensil beads which is super cute! I only ever put Pandora beads on a Pandora bracelet but I do mix brands on both leather and silver Trollbeads bracelets. I have recently bought some Ohm glass beads and love my Redbalifrog silvers. My frustration is I have to buy my beads on line as I only have a Pandora shop near me. I hear you, Paula. 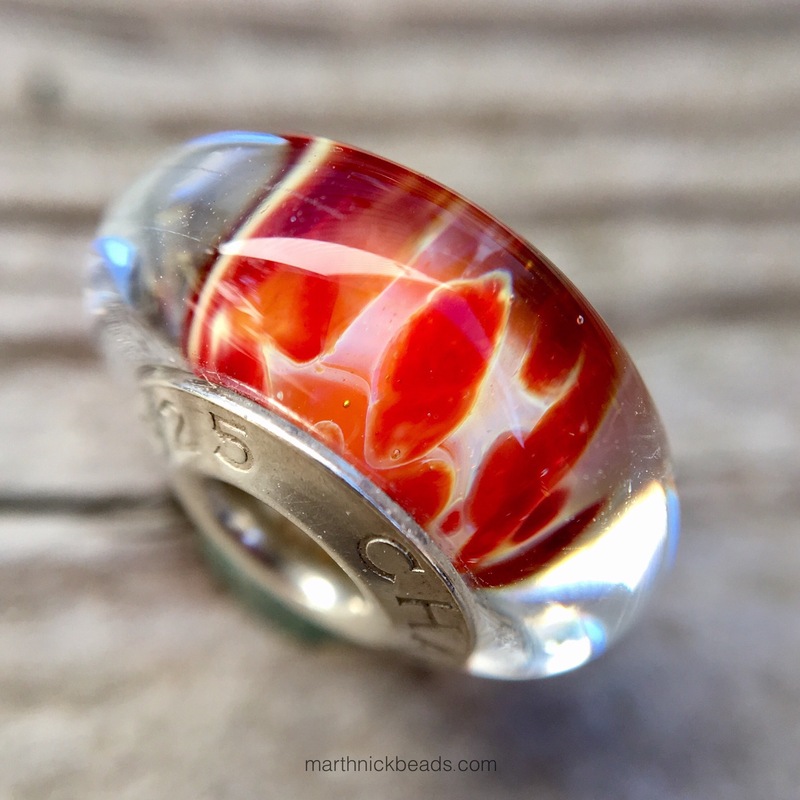 The nearest place to buy Trollbeads is two hours away for me. I do love how any brand bead will fit on their bracelets. I rarely put other beads on Pandora also, although mostly because they don’t fit. My pleasure, Tia! 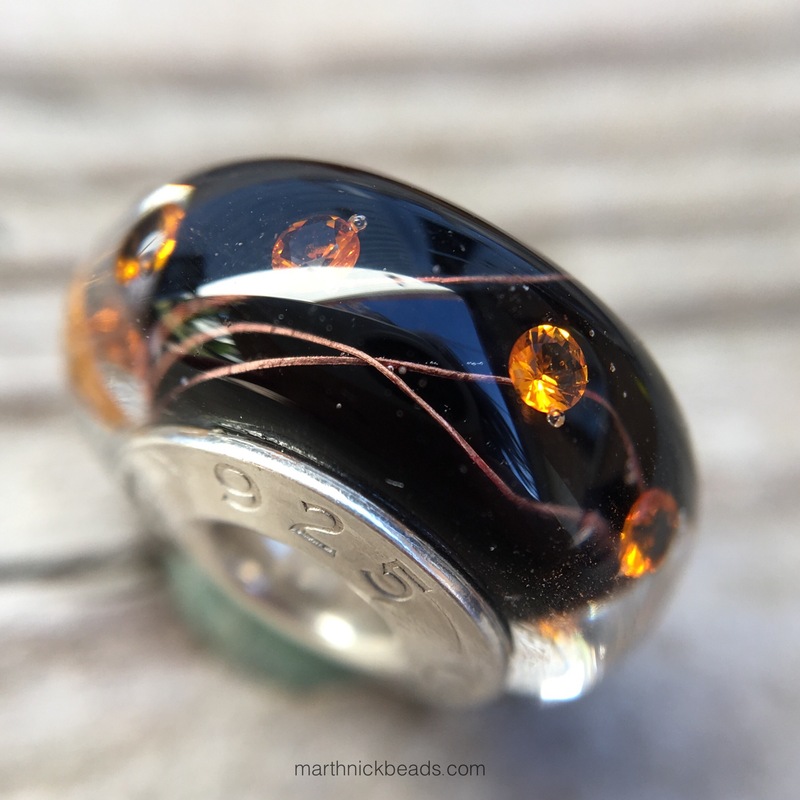 I was so happy to see your review of the Soufeel beads because I’ve looked at their website several times and it’s nice to have a variety of opinions! I have just discovered there is a retailer carrying Chamilia and another who carries Trollbeads both of which are maybe five minutes away from where I live. (Pandora is about forty-five minutes). I just checked out Soulfeel’s website briefly. I think I’m in trouble here…more temptation! Oh my goodness! I can’t even imagine having a Trollbeads dealer nearby!